After the hottest January in recorded history in Curitiba, and in the century, for several Brazilian cities, temperatures finally cooled down, but the heat is scheduled to return in February. Along with the temperature, what may soar in this time of the year is the electricity bill – something that, according to climate control experts, may be due to the users themselves. That happens because of the temperature shown in the screens of air conditioners influence – a lot! – the energy consumption rates, thanks to a factor called “thermal load”, the difference between the external temperature and that the person who is using the machine desires. 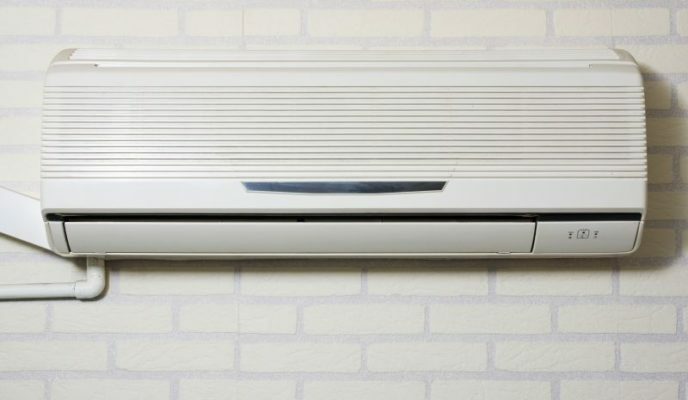 Setting the air conditioner to 23°C or 24°C may mean a significant economy, and propitiate the same comfort obtained as when the air conditioner is set to 18°C or 20°C. He adds that, when the references are lower temperatures, such as 18°C or 19°C, for instance, the economy may be even more significant, since the thermal load will be bigger, and will demand more effort from the machine. “It works in the same way as an automobile’s demand for fuel. If you drive at 80 kilometers per hour on a straight thoroughfare, the gas consumption will be smaller than what you would use if you were driving on an upward slope, because it would demand much more from the vehicle,” he exemplifies. In other words, the hotter it is outside, the more effort the machine has to do to reject the heat of the environment and reach the desired temperatures, which may answer for about 20 percent of the additional electricity consumption if you set the air conditioner at 18°C or 20°C. Below the interval between 22°C and 26°C, recommended for residential and low-circulation corporative environments, the air conditioner keeps functioning uninterruptedly in order to maintain the desired temperature. “Usually, that happens when the apparatus is badly dimensioned, when it is necessary to regulate it to 20°C in order to obtain the 23°C which makes the environment comfortable,” explains the architect. Just as the regulated temperature and the dimension of the equipment, there are other factors which influence the energy consumption of an air conditioner. “The best item to save energy is a good installation of the equipment. First of all, the air conditioning machine has to be well selected, it is necessary to hire a skilled technician, who has knowledge and expertise,” suggests Parra. According to him, merely understanding electrical networks is not enough to make sure that the apparatus is going to be properly installed. That happens because the size of the room has an influence on the power of the equipment, which in turn will enable a better energy consumption. “If the environment asks for a 12 thousand BTUs, and the user chooses one that operates on 7 or 8 thousand BTUs, its consumption will be bigger than what would be adequate,” says the engineer. On top of that, preventive maintenance is essential to minimize unnecessary expenses on future parts as well as wear-and-tear of the apparatus itself. “Studies have pointed out that the lack of maintenance of any equipment may have an influence of up to 40 percent in energy,” he details. Cleaning and lubricating the air conditioner may also increase its longevity, and reduce drastically the cost of corrective maintenance.